A man rides into town through the rain. He walks into a saloon, makes sure he knows where the back door is, goes out to his horse again, comes in with a cloth, and covers a table. The men are pulling up chairs before he has settled down. 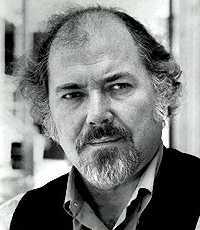 He is a gambler named McCabe (Warren Beatty). Somebody thinks they heard that McCabe once shot a man. In the background, somebody is vaguely heard asking, "Laura, what's for dinner?" It is not often given to a director to make a perfect film. Some spend their lives trying, but always fall short. 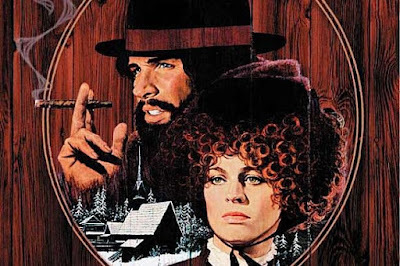 Robert Altman has made a dozen films that can be called great in one way or another, but one of them is perfect, and that one is McCabe & Mrs. Miller. This is one of the saddest films I have ever seen, filled with a yearning for love and home that will not ever come -- not for McCabe, not with Mrs. Miller, not in the town of Presbyterian Church, which cowers under a gray sky always heavy with rain or snow. The film is a poem--an elegy for the dead. Salut Galmuchet ! Thank you for dropping by. It was a pleasure seeing your "signature".